October is the time of year when the shoals of herring arrived on the east coast followed by the fishing fleet which packed the local ports. This vast industry may now be a distant memory but herring is so good for you and it's place in our heritage – and on our dinner plates – should not be forgotten. That's why the Herring Festival returns to The Cut in October celebrating this humble fish through food, drink, music, theatre and art. There’s entertainment with a rich east coast flavour, including the WONDERFUL BEAST'S RETURN OF THE WILDMAN, a glorious take on an enduring local legend, and the JOHN WARD TRIO who give a modern edge to the folk tradition. There’s an all day barbecue with freshly caught North Sea herring, bloaters and kippers plus maatjesharing fresh from Holland. In addition to its regular menu, the Cut’s Café will offer a special kipper kedgeree and pumpkin soup. The fish will be caught the day before (shoals allowing) – You simply can’t get fresher! 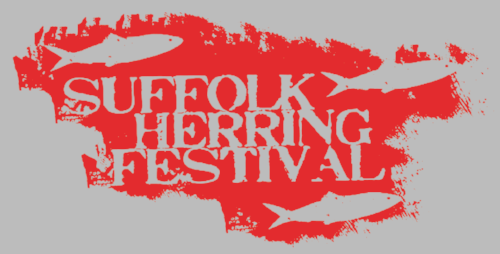 You'll want to catch the Suffolk Herring Festival at The Cut this October! Mitchell-Finch Design will be in attendance with a stall full of fishy brooches, tin can nib pens and much more!